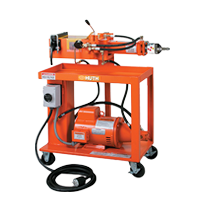 Runs on 220 volt, 60 Hz supply. 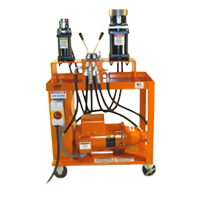 50 Hz and other voltages available. 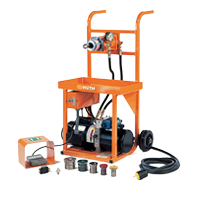 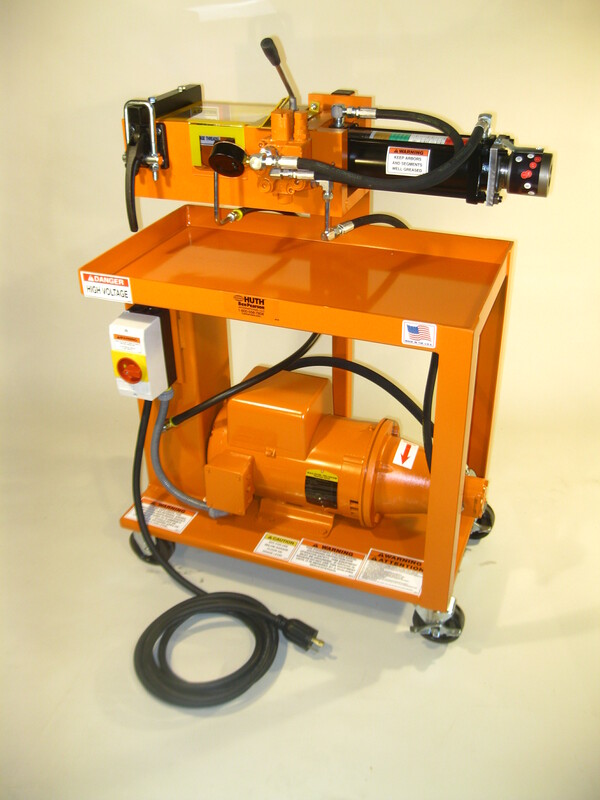 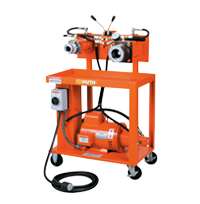 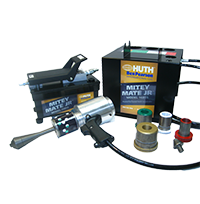 Mounted on its own easy-wheeling cart, Huth's Model 1673 Portable Swager/Expander equips you to form ball joints, slip joints, flares and flanges and perform doming and reducing anywhere in your shop. 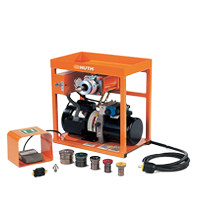 Includes part 41047-Adjustable Collar, and 891-Collet Holder.